Technology overview | Cavitation Technologies, Inc.
CTi's core technology encompasses the utilization of hydrodynamic cavitation. Cavitation can be of different origins, for instance: acoustic (usually, ultrasound-induced), hydrodynamic or generated with laser light, accelerated particles, an electrical discharge or steam injection. 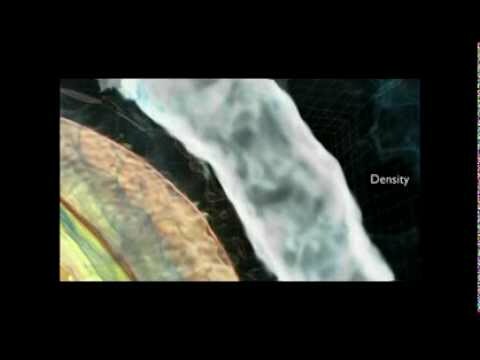 Hydrodynamic cavitation comprises the nucleation, fluid’s vaporization and growth, pulsation, if any, and collapse of bubbles which occurs in a flowing fluid as a result of a decrease and subsequent increase in its static pressure. Hydrodynamic cavitation can be achieved by passing the liquid through a constricted zone at sufficient velocity and onsets after the static pressure of the liquid has decreased to the saturated vapor pressure. The important characteristics of applied cavitation are the number of cavitation events in a flow unit, and the surface tension and the size of bubbles, which range from ten nanometers to a few microns or even larger in diameter. The collapse of the bubbles results in a localized significant increase in pressure and temperature. The combination of elevated pressure and temperature, along with vigorous mixing supplied by the hydrodynamic cavitation, triggers and accelerates numerous reactions and processes. Each bubble can be described as an independent miniature reactor, in which chemical and physical alterations take place. The further transformations result from the reactions and processes occurring in the adjacent layers of vapor/liquid. While extreme pressure or heat can be unfavorable, the outcome of controlled cavitation-assisted processing has been shown to be exceptionally beneficial. At the present time, with energy costs rapidly rising, it is highly desirable to reduce both treatment time and energy consumption to secure a profit margin as large as possible. CTi designs and builds advanced, highly specialized, multi-stage, robust, flow-through cavitation devices, reactors and systems to serve the diverse needs of both large-scale plants and small-scale producers. The versatility of the Company’s devices and the flexibility of their designs will meet the most stringent process requirements. 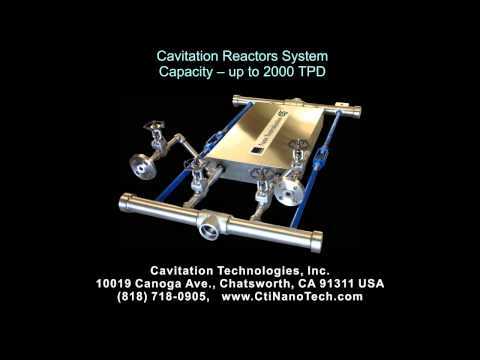 CTi’s patent-pending oil refining technologies and patented flow-through multi-stage Nano Reactor® devices exhibit both superior performance and remarkable reproducibility. The systems currently commercialized by CTi may find many valuable, unique and environmentally friendly applications. The cavitation number at which the inception of cavitation occurs is known as the cavitation inception number Cvi. Ideally, cavitation inseption occurs at Cvi = 1 and there are significant effects at Cv less than 1. However, cavitation has been found to occur at higher cavitation number (in the range 2-4), due to the presence of dissolved gases. 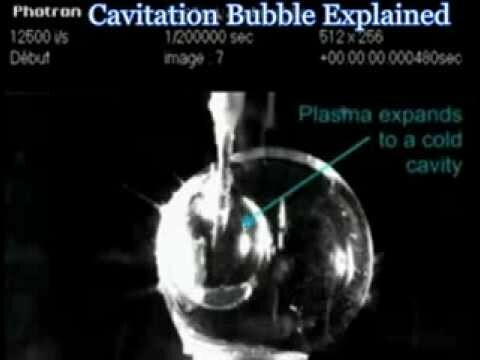 The world record in Computational Fluid Dynamics simulates 15,000 cavitating bubbles. A team of scientist led by ETH Zurich simulated cavitation bubbles cloud collapse and achieved unprecedented resolution and computing performance.